What can I expect on a laughter yoga retreat? ‘Laughter yoga with Joe’ is about the journey back to joyfulness. We are all wherever we are on our own life curve, dealing with whatever we’re dealing with, experiencing whatever we’re experiencing. Wherever we are is the perfect platform for our next step – and all we can ever do is take the next step, one at a time? What if we can do this with lightness, joyfully? 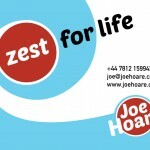 With zest for life? Strategically, spiritually, on a soul level we have a yearning to return home. Inside us, that warm, loving, kind part of us yearns to connect, to reach out and communicate warmly with our fellow humans and beyond. So often our history, our ‘story’, gets in our way and hampers us. Sometimes we’re afraid, afraid of our ‘shadow’ or just afraid. What if we can just march straight through our ‘story’, enjoying the journey and so focused on the joyfulness that it provides us with the energy to become more joyful ourselves? How can we do this? The secret lies in the present, experiencing the NOW. Start here & now by dropping your shoulders, taking a deep breath, putting a small warm genuine smile on your face, and breathing out slowly while keeping that genuine smile alive. ‘Laughter yoga with Joe’ is a very NOW experience in which we use all the resources we have, often discovering we have many more than we previously realised. On a Retreat, we laugh, sing, dance and play. We explore lightness and joyfulness. We breathe & relax, and are quiet & calm. We have space and permission to be free and spontaneous. In a safe and permissive space, we allow and welcome all emotion. In this warm, generous and spacious way we practice being present, in the NOW. This is where the magic happens. This entry was posted in Connection, happiness, Laughing Yogi, laughter yoga, meditation, mindfulness, psychology and tagged anxiety, connection, depression, endorphins, happiness, Laughing Buddha, laughter meditation, laughter the best medicine, laughter yoga, love, mindfulness, nls: natural laughter skills, positive psychology, psycho-neuro-immunology, resilience, smiling, spirituality, stress management, wellbeing on March 29, 2016 by Joe Hoare.